Industry 4.0 and IoT analyst Arnold Vogt discusses 8 trending topics: from killer apps, to standardized IoT solutions, and the role of the IoT ecosystem. What will be the top trending topics over the coming years? This is a question frequently posed to consultants and analysts. They usually respond from a highly technology-centric perspective, citing specifically which new technologies can be expected and what these will do. Yet the change dynamics on the markets that are set in motion by these new technologies are no less intriguing. Each new technology that establishes itself in the marketplace can set off disruptive market changes through the sheer speed of its adaptability. That is why in this article, I will concentrate on market changes specifically initiated by Industry 4.0 / IoT technologies from a German perspective. In my opinion, these new developments will have a significant impact on the Industry 4.0 / IoT marketplace over the next two years. When you listen to what people are saying about Industry 4.0 / IoT at trade fairs and other events, one main question emerges: What are the Industry 4.0 / IoT killer applications? There are definitely many good use cases out there right now, yet there is still no “silver bullet” that offers a clear and obvious advantage recognizable to all. Because of this, I am certain that the search will continue in earnest, but whether genuine killer apps will be identified is virtually impossible to predict. In my opinion, however, I don’t think it will happen. It may well be the case that there are no Industry 4.0 / IoT killer apps. Yet the overall added value of Industry 4.0 / IoT is indisputable. It offers a wide range of optimization potential in many existing application scenarios, even if it has no killer apps of its own. Industry 4.0 / IoT is definitely an “enablement technology” for many applications, including cloud computing. I am convinced that the IoT will change our world permanently, regardless of whether or not it gives rise to any true killer applications. The only difference with killer applications is that they can enormously accelerate the dissemination of technology. Another issue related to the one above deals with the question of who will identify new use cases. Experience shows that vendors and consultants often expend great effort seeking out new application scenarios, yet far more frequently these are discovered by the users themselves. The history of IBM provides us with a good example of how far removed technology vendors can be from good use cases. For a long time, IBM was convinced that there was no reason for people to use computers at home. When they brought their first personal computer to market, it was positioned as a kitchen appliance for managing recipes, a type of cookbook replacement. This and many other examples illustrate how users are often better at sniffing out new use cases than vendors. For this reason, the transformation we will witness in the marketplace will proceed in an unambiguous direction, namely, Industry 4.0 / IoT solutions will quickly become much easier to use (along the lines of “power to the user”). When every user (whether technologically savvy or not) is able to use the IoT for their own purposes, this type of trial and error approach will allow new application areas to be identified far more rapidly. Over the next few years, identified use cases that are suitable for a broad customer base will also be brought to market as standard solutions, and with increasing speed. Currently, IoT solutions still come into being largely within the context of individual customer products. This custom-tailored approach is the breeding ground for the standardized solutions that quickly follow. 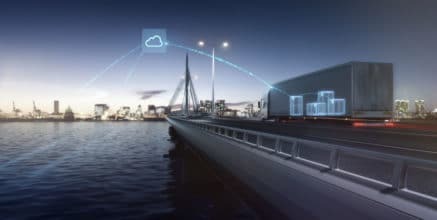 In the future, IoT projects will not just rely on standardized IoT platforms (for data and device management), but they will also be increasingly packaged as integrated complete solutions. Several vendors are already vigorously promoting the rapid “productization” of complete IoT solutions for specific application scenarios. This provides enormous efficiency benefits for vendors due to economies of scale, and in turn provides lower prices for users. The starting point is a basic “minimal buyable product,” which can be subsequently expanded with additional modules. This takes a page from the Silicon Valley playbook. In my opinion, those who think that agile, customer-specific mass production is merely the vision of a distant future are in for a surprise. The idea of an Industry 4.0 manufacturing environment that is fast, custom-tailored, and automated will become a reality sooner than expected. Of course, the wide-scale adoption of this concept is still something of a futuristic fantasy in several industrial sectors, but we will soon see practical implementations. This won’t necessarily happen in places where highly sophisticated centralized mass production processes are in use; instead, we will see it in newer, smaller, decentralized production units that are more closely attuned to customer needs. 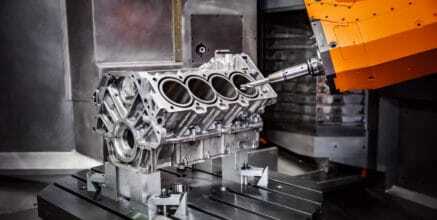 They can use this capability to rapidly produce and deliver custom-tailored products (e.g. high-value consumer items). Today, IoT platforms are already highly relevant as data hubs for the integration, storage, analysis, and visualization of data. Right now they are popping up like mushrooms, but while this wild growth phase is certain to persist for some time yet, there is bound to be an initial wave of consolidation in the next two years. Aside from the integration of devices and pure data management, we will also see an increasing emphasis on other features such as device management (e.g. for software updates related to device security and device functionality) and business process management. Fast, easy-to-use connectors for IoT applications and IoT data are also becoming increasingly important. When considering the various IoT offerings on the market right now, it is evident that analytics, big data, and machine learning all play a critical role in every product portfolio. These are without a doubt extremely important items when looking at the long-term picture; however, at the current stage of IoT evolution, the no less complex topic of data integration calls for more immediate attention than big data/analytics. As I see it, this is the issue that integration must take top priority over the next two years. Our world is heterogeneous and it will remain so in the future. For that reason, integration will be a permanent key topic in the digital world, just as security is. Even common standards will only partially solve the problem, as they tend to lag behind the market, and often they are simply redundant. The integration of heterogeneous devices, data, and applications is anything but trivial, and it represents the “compulsories” in the Industry 4.0 / IoT world. By comparison, big data/analytics is more like the freestyle program. We will increasingly be seeing typical enterprise users with Industry 4.0 / IoT experience gained through in-house projects attempting to market this expertise to external customers. In the process, these typical Industry 4.0 / IoT enterprise users are becoming Industry 4.0 / IoT vendors. They may be vendors of their own technological developments, or they may offer related consulting and integration services. These offerings are also increasingly being housed within their own business units. Gartner coined the phrase “bimodal IT”, which refers to IT processes that run at two speeds. In other words, a stable IT backbone in combination with IT agility and flexibility. This concept is also wonderfully applicable to companies as a whole. Particularly in the IoT world, it is an excellent idea to form fast, agile subsidiaries as a counterbalance to rigid corporate structures. In the fall of 2015, machine tool and laser manufacturer Trumpf decided to follow this route, establishing a start-up by the name of Axoom. The company has “just” 20 employees and is headquartered in Karlsruhe, Germany. Axoom was founded to create a platform for software that supports the planning of production processes. 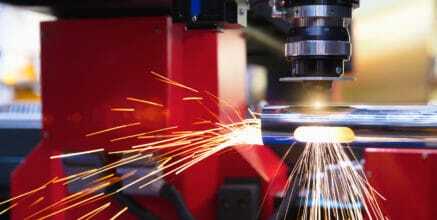 As is the case with an app store, the platform will feature applications for Trumpf’s own industrial production in addition to software from other vendors. 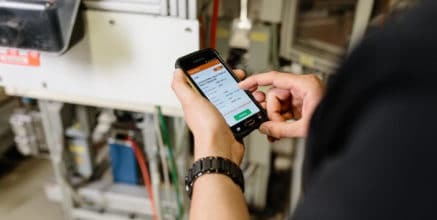 The idea is for industrial enterprises to model entire production processes from order entry to delivery as well as connect with vendors and customers – ultimately forming an open ERP platform. Trumpf is thus deliberately moving from its role as a hardware vendor (for machines) to leveraging the operating system software of these machines in order to become a software vendor, thereby becoming a bimodal enterprise in the process. How Industry 4.0 and lean production are becoming best friends. Data analytics projects: From theory to practice. How to avoid pitfalls with data analytics projects. 5 data analytics questions production experts raise. A 5-step approach towards successful Industry 4.0 projects. 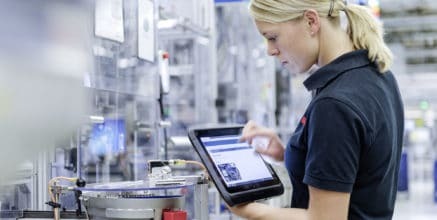 I would like to become the ambassador of boschrexroth concerning its innovation in industry 4.0, so please can anyone tell me who is the Wright person to contact? 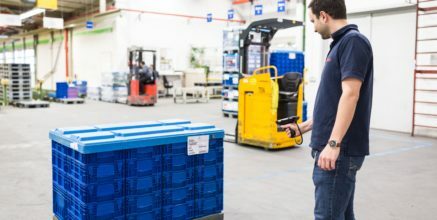 Implementing the connected supply chain is challenging for many organizations. Pragmatic real-time logistics addresses this issue. Logistics expert, Matthias Hülsmann, reveals the guiding principle of digital logistics. 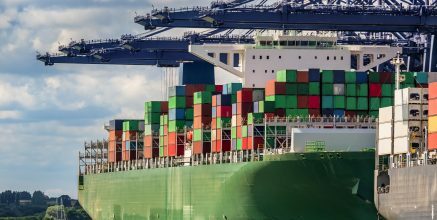 Blockchain: a boon for logistics? Logistics is one of the world’s biggest industries. Find out how blockchain and IoT can be applied in this context.